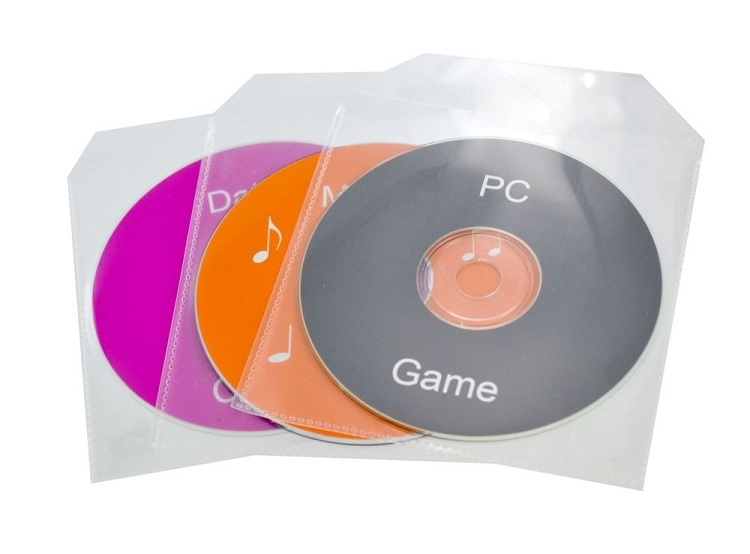 Simple clear plastic sleeve for CD or DVD discs. Superior alternative to cheaper paper sleeves. Find it fast! Totally clear sleeve allows your discs to be fully visible. Non-stick high-quality plastic let's your CD or DVDs slide in and out easily. These sleeves are some of the best available and highly recommended if you are looking for inexpensive total protection and storage of valuable discs! A must have option to avoid the dreaded unprotected skyscraper pile of freshly burnt CDs. Copyright TekNmotion. All Rights Reserved.